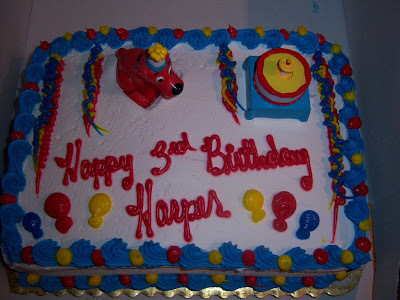 About a week prior to Harper's 3rd birthday, we started the big build up. 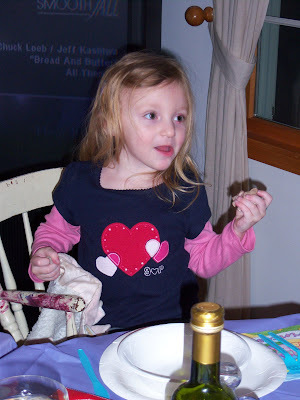 We started talking about her big day, the pottery painting and her party. 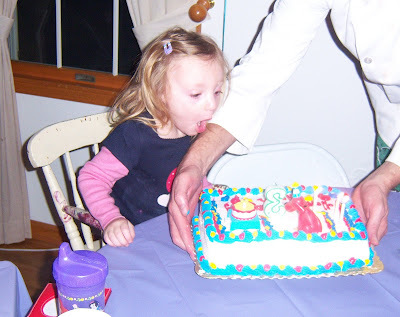 But the only thing she wanted to say about it was "CAKE". When we asked her what she wanted for her birthday, she answered, "cake". 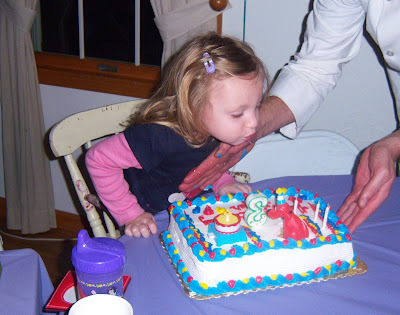 When we asked her what she wanted to do for her birthday, she answered, "cake". 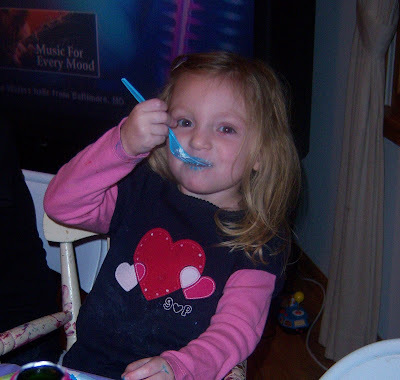 When we asked her what she wanted to eat on her birthday, she answered, "cake". Cake, cake and more cake. It's glorious that she had no concern for gifts. I'm not kidding when I say that she would have been elated if every guest had shown up bearing a cake. From the moment the first guest arrived, she started asking everyone, "Time for cake?" So, here is the birthday girl with her beloved cake. 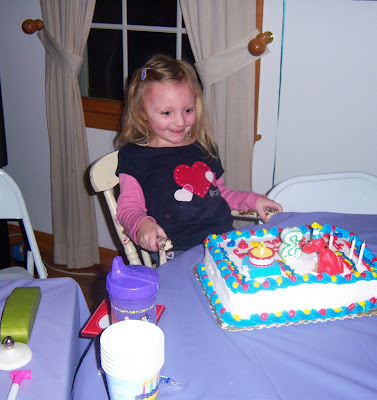 Love that picture where she's smiling at the cake. Cute, cute , cutie! Great party.